CATS, the second longest-running musical in Broadway history, will have a limited run at the Cultural Center of the Philippines (CCP) beginning July 24, 2010. 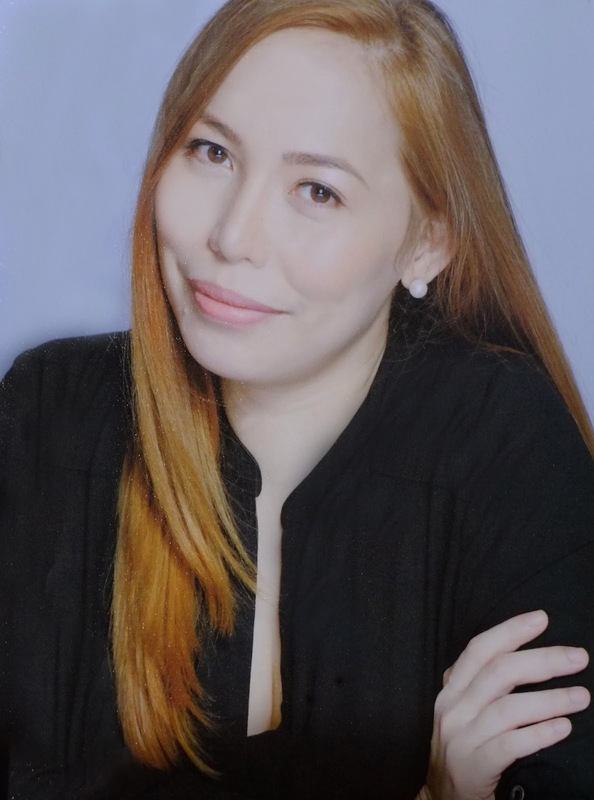 This production will feature Tony winner Lea Salonga as Grizabella, and an international cast that will primarily come from Australia, and the United Kingdom. 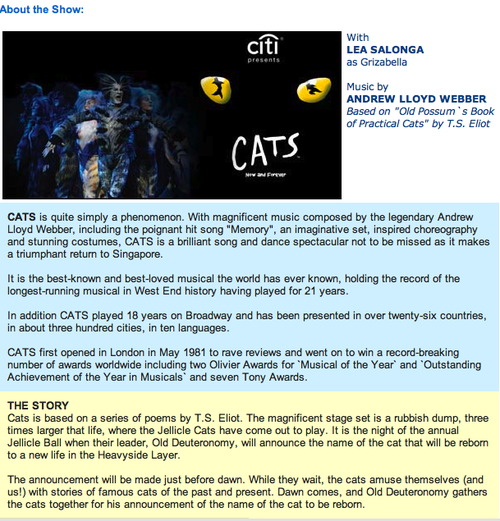 Needless to say, I am such a huge fan of Ms. Lea Salonga who will be playing Grizabella. CATS, which features a larger-than-life junkyard set, colorful make-up and costumes, ‘80s choreography, and often eclectic array of music, has been toured around the world. Just like another British import LES MISERABLES, it has been translated into more than 20 languages. The musical was shot to video in 1998 and aired on television worldwide. I just can't wait to see this musical!